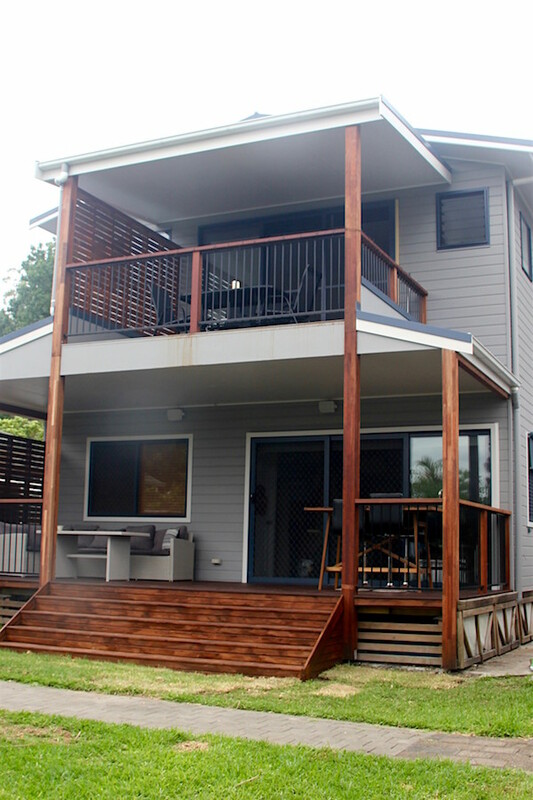 Adding a significant extension to a home, such as this two level deck, is a big decision…and the homeowners are glad they took it. This new build is a great addition to the home, and a very clever way to maximise usable space on one’s plot of land. The back porch has the perfect mix of shelter from the wind and rain, while still being open and embracing the yard and the vista. Upstairs, the porch and deck area is a more exclusive, intimate place to escape the world, read a book or have a meal. Inside the home, the bathroom renovation modernises the space with timber look tiles, frameless glass and smart space use. A truly clever extension, across ground and first floor levels, sits proudly from the home. 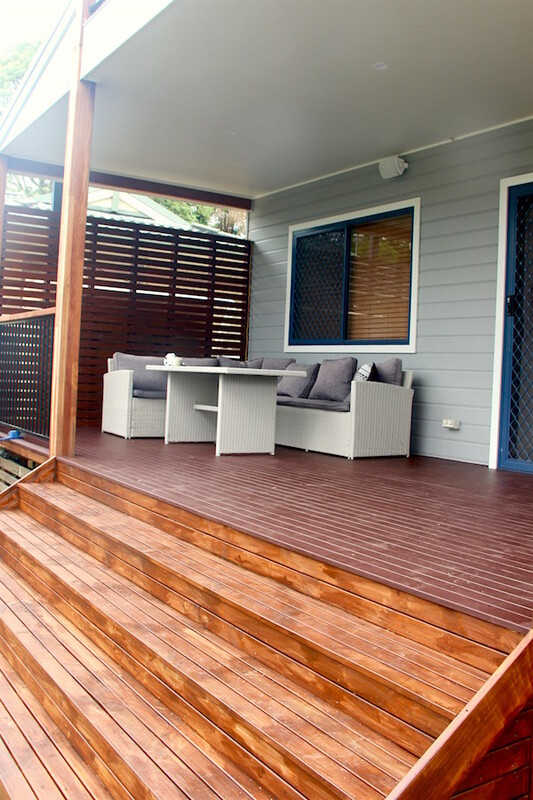 The red tone of the hardwood timber contrasts beautifully with the soft grey of the home – it too will fade to a softer hue, meaning this extension and decking will get better with age. With a deck deep enough for a 5 seater couch on one side…who’d want to sit inside? 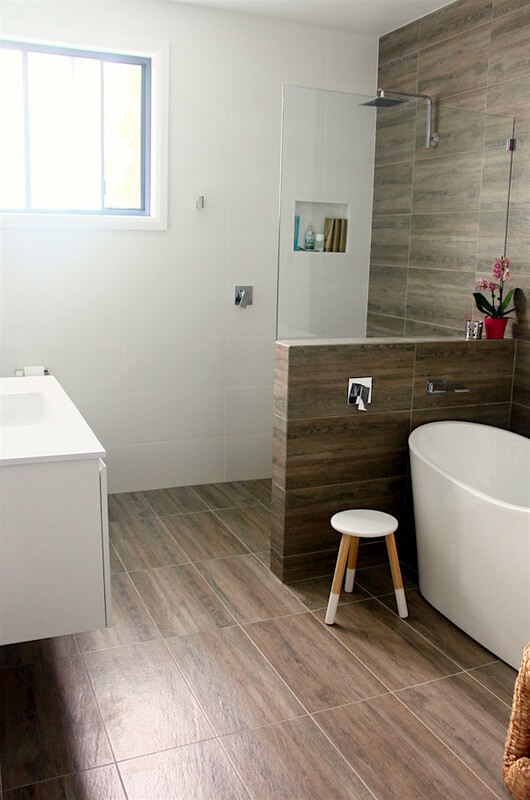 Inside, the bathroom renovation had the dated bathroom demolished and replaced with clean timber look ceramic tile, frameless glass shower screen, bright white vanity and a curvaceous and durable acrylic bath.